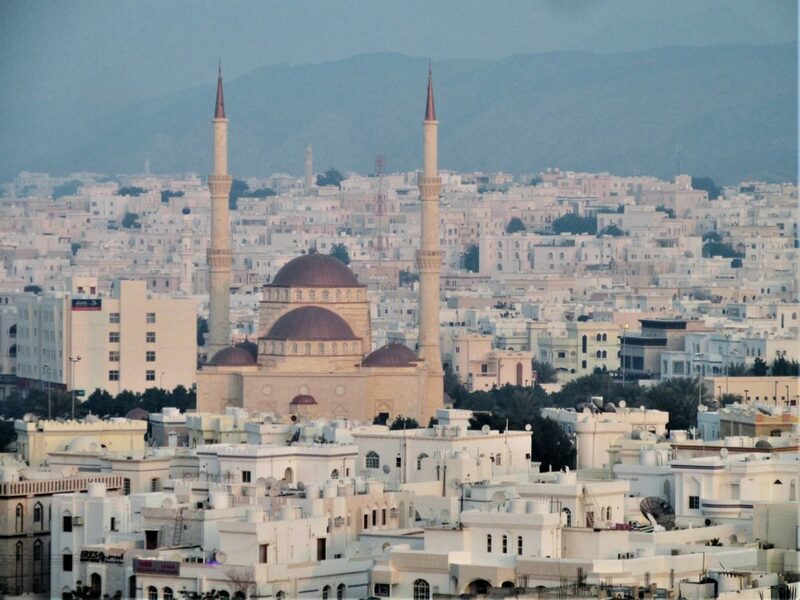 Noor Majan is honored to extend its services and presence to Oman’s capital city, Muscat. Responding to requests for an educationally rigorous Arabic language program in Muscat, Noor Majan saw the opportunity to open a branch campus in the dynamic-strategic neighborhood of Al-Khuwair. Noor Majan-Muscat is located in a modern and multi-story building at the heart of Al-Khuwair’s central marketplace or souq. The campus is surrounded by a plethora of restaurants, stores, cafes and nearby important services such as hospitals and pharmacies. Noor Majan-Muscat’s centralized location in Al-Khuwair places students equidistance from all of the major places of interest in Muscat. 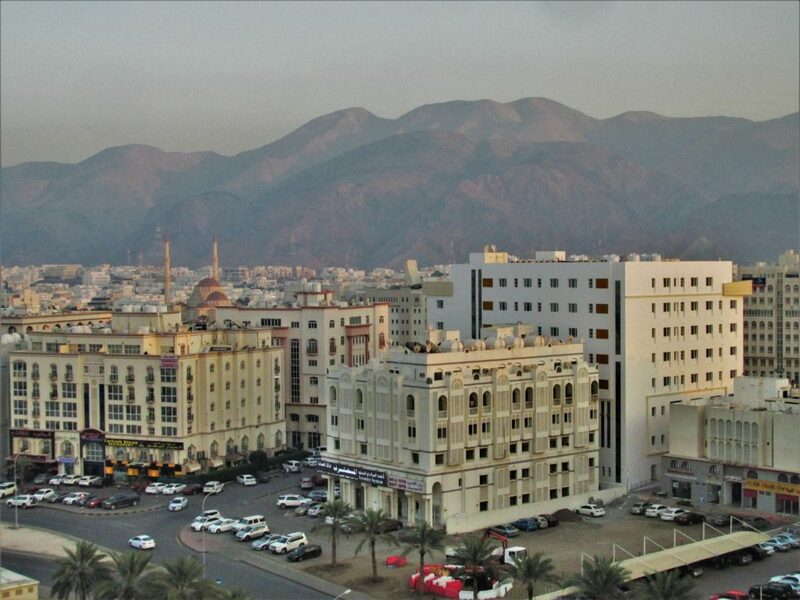 The campus is located 10 minutes away from the Al-Qurum Beach, the Muscat Royal Opera House, the Sultan Qaboos Grand Mosque and less than 15 minutes from Muscat International Airport, the historic market in Mutrah and Corniche, and the Omani National Museum/ Palace of the Flag. The visual map below highlights many of Noor Majan-Muscat’s location and the many services and places of interests in close proximity to the campus. Noor Majan-Muscat is an extension of Noor Majan’s services and is held to thesame academic standards as Noor Majan-Ibri. 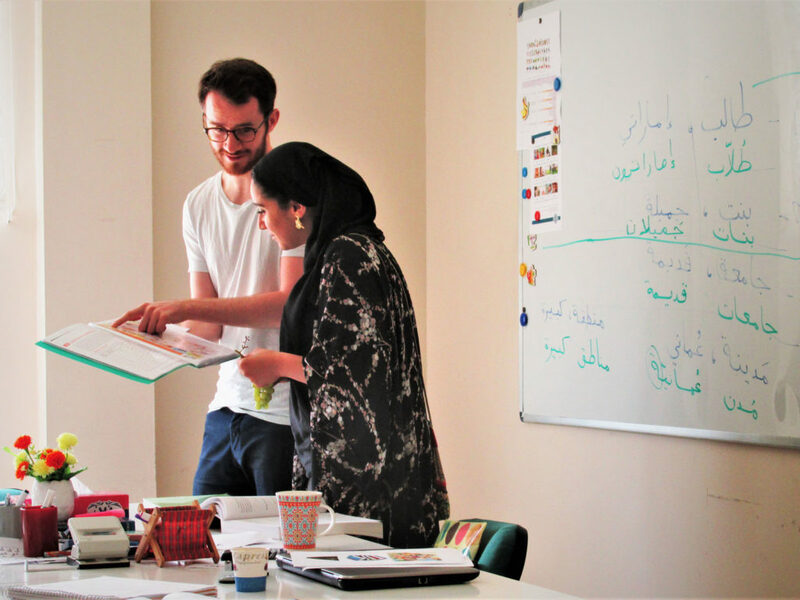 Both sites uphold the highest standards of Arabic language acquisition, first by attracting talent through a competitive hiring process, continual professional development for instructors,and continual evaluation of results and application of improvements. Noor Majan believes that successful language acquisition occurs when students are repeatedly challenged to utilize and develop their listening, speaking, reading, and writing abilities in a structured environment. Thus, Noor Majan’s methodology reflects this idea by dividing instruction time into three distinct concentrations: foundational knowledge in Modern Standard Arabic (MSA), skills development, and application of knowledge and skills through media literacy. Throughout the three concentrations, Noor Majan utilizes Al Kitaab Fi Ta’allum Al-‘Arabiyya (Mahmoud Al Batal) as the primary course material and complementary material from Al Kitaab Al-Asasi (1-3) by El-Said Badawi Modern Standard Arabic (Eckehard Schultz) and Ahlan Wa Sahlan (Mahdi Alosh). All courses draw upon authentic and relevant material from print and internet to engage the student with appropriate usage of the language. The institute follows and applies international teaching standards set by the American Council on the Teaching of Foreign Languages (ACTFL), with the ability to teach nine distinct levels from beginner to advanced. Note 1: Periods of stay can be booked flexibly for a minimum of 2 weeks or longer. We also offer semester courses, academic year programs, intensive summer courses, and J-term courses at special conditions, please contact us for details and prices. Note 2: Tuition fees start at 200 OMR/week (approx. 520 $), accompanying services such as accommodation and excursions need to be booked as a package. Note 3: The institute will close on official public holidays. As these are only announced by the government shortly before the specific holiday we can only give approximate dates here. Classes on these days will be cancelled and replaced by additional cultural activities on a regular working day. Note 4: Please contact us directly for inquiries about private tuition, dialect instruction, customized programs and group discounts.